A Scappoose Middle School student will have her original artwork displayed in the 2019 Problem Gambling Awareness calendar produced by the Oregon Health Authority. Hope Medrano, an eighth-grader at the middle school, was one of 12 students in the state to have her work selected for the calendar. Heather Oliver, the Public Health Foundation of Columbia County's prevention coordinator, visited with students at the school earlier this year and gave a brief lesson to students in their health classes. Additionally, Oliver also told students about the annual calendar contest and encouraged them to participate. Students are provided a list of concepts and themes as inspiration for their posters. Medrano's submission plays on the theme that people can recover from gambling problems by choosing different paths in their lives. 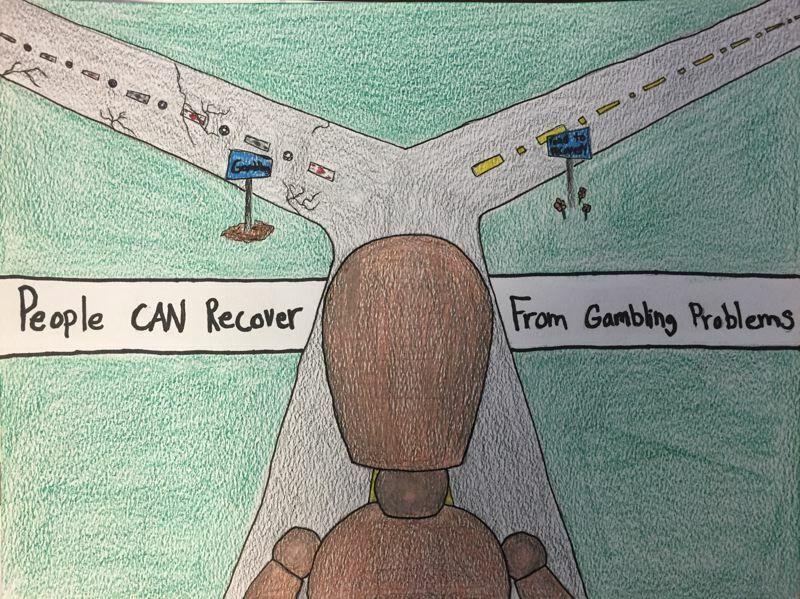 In her piece, an individual is centered in the picture looking at two paths in a road — one covered with cracks and potholes to represent problem gambling, the other a clear road with a sign that reads "Road to Recovery." Throughout the county, more than 100 submissions were received. Oliver noted that each participating county selects the top five student submissions from middle schoolers to be sent to the state level. Then the top 12 from the state are chosen for the calendar. Students whose artwork is selected receive a $25 prize. The student whose work is selected for the cover receives a $50 prize. Scappoose Middle School art and photography teacher X.K. Austin described Medrano as a talented artist and photographer, and stated that he was proud of her work.